Hyundai Motor Co. today launched its Genesis Coupe in the Korean market at an event on Jeju Island attended by members of the Korean and international press. The logical extension of the highly acclaimed Genesis sports sedan launched earlier this year, the Genesis Coupe raises the Hyundai brand's emotional quotient to a new level with its high performance capabilities and front engine rear wheel drive architecture. 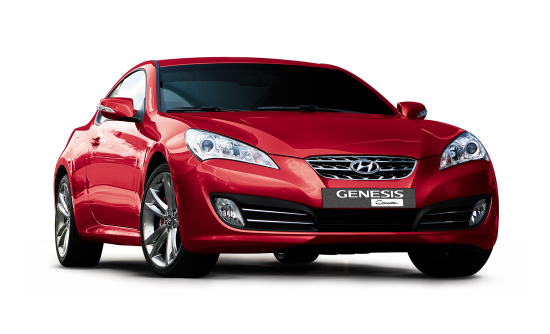 Genesis Coupe is an exemplification of Hyundai's design evolution: simple, modern, crisp lines with wonderful proportions and aspiration appeal. "The Genesis Coupe is our very first thoroughbred, a true halo car with all the hallmarks of a high performance car," said Dr. Hyun–Soon Lee, president of the Corporate Research and Development Division. "The Coupe will do exactly what it was designed to do: Provide a thrilling driving experience and attract new customers to Hyundai showrooms and continue the transformation of our brand." Genesis Coupe projects a unique sports car look with strong character lines, pronounced shoulders and dynamic details. 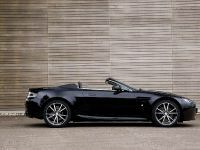 The aggressive, wedge-like silhouette, short overhangs and long wheelbase give it classic sports car proportions. Inside and out, the design is thoroughly provocative and emotionally-charged. The exterior front styling radiates a sporty character. Its dynamic, voluminous hood, carefully articulated bumper surfacing and sharply distinctive headlamps combine to give hints of strong performance. Two signature design elements truly define the Genesis Coupe's highly distinctive look and escalate its dynamic appeal: the emotionally sculpted Z-line and the unique day light opening of the quarter glass. The rear view with its two-tone bumper and dual square-shaped exhaust tips project a solid, vigorous look. 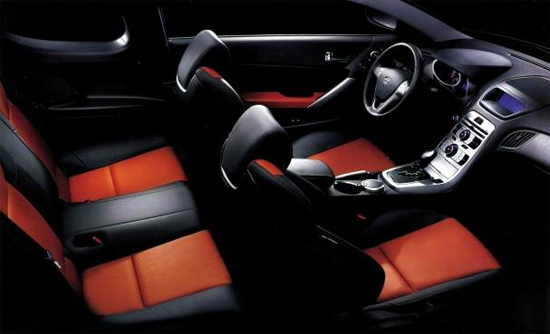 The interior with its aggressive and futuristic design reflects sophistication and sportiness in every detail. Powerful and elegant, exclusive materials have been applied to the interior to create a unique atmosphere. 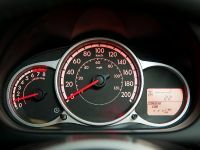 Dual cylinder-type gauge cluster, a floor-mounted accelerator pedal and engine start button are among the innovative design touches. A full bucket-type driver's seat provides excellent support at all critical points. For convenient entry and egress, the front seat backrests feature walk-in memory design so that the original position of the backrest is restored on entry or egress of the rear seat passengers. Rear seats can be made to quickly fold down with the folding lever in the cabin or the folding button in the trunk. With its 2820mm wheelbase (290mm longer than the Tiburon/Coupe), Genesis Coupe's cabin provides more headroom, legroom and shoulder room than its predecessor. The 55/45 front-rear weight distribution endows Genesis Coupe with near-ideal balance for exceptional handling and more refined steering characteristics. The Genesis Coupe is the most thrilling performance coupe yet from Hyundai and most importantly, it is attainable – It promises to be the most affordable 300-hp sport coupe on the planet! 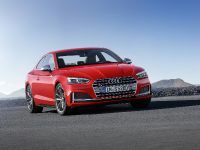 At the heart of the story are two performance-focused engines: The range-topping, all aluminum 310 horsepower (premium fuel), 306 horsepower (regular fuel), DOHC 3.8-liter V6 Lambda RS. The base engine will be the 223 horsepower (premium fuel), 210 horsepower (regular fuel) 2.0-liter turbocharged Theta. Based on the highly successful Lambda V-6 first introduced in 2004, the high performance RS edition (Racing Sport) of the Lambda features several key modifications which have raised power to a maximum of [email protected] (306 horsepower for US market) and peak torque to 36.8kg/[email protected] enabling the Genesis Coupe to catapult from zero to 100km/h in just 6.3 seconds. The Lambda RS features all-aluminum construction, Dual CVVT (Continuously Variable Valve Timing) on both the intake and exhaust valves and a revised intake system. Because of the sporty, low hood line of the Genesis Coupe, RS engineers were forced to redesign the intake and exhaust systems trimming 5cm from its height. The exhaust manifold's length and cross section were optimized for reduced resistance which maximizes high speed performance and yields a pleasingly sporty exhaust note. At the same time, the diameter of the intake port in the ETC (Electronic Throttle Control) module was enlarged to improve engine breathing. Attention was also paid to stiffening the aluminum engine block so it could endure higher stresses while a piston cooling jet was added under each cylinder to reduce thermal loading and prevent heat damage. 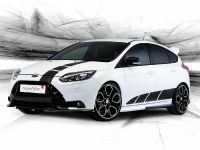 A further boost in performance was attained by adopting more aggressive camshaft profiles on the Continuously Variable Valve Timing system which governs both the intake and exhaust valves. The V-6 is mated to a six-speed ZF automatic with a 3.4 final drive ratio. A six-speed manual is also available and features a short-stroke shifter (under 41mm), optimized gear ratios and triple cone synchronizers (1st, 2nd and 3rd gears) for smoother shifts. For economy, Hyundai offers the Theta 2.0-liter inline four cylinder engine with a turbocharger for excellent performance. Maximum power is rated 210ps @ 6000rpm (210 horsepower for US market) while peak torque is 30.5kg-m @ 2000rpm (30.8kg-m for US market), sufficient to propel the car from 0-100km/h in just 8.3 sec. Like the V-6, the Theta employs a Dual CVVT system plus a piston oil cooling jet which is positioned under each cylinder to deliver improved cooling and better fuel efficiency. 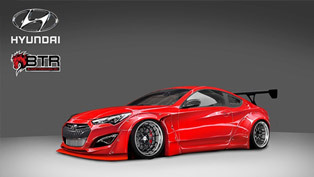 Genesis Coupe's chassis has been optimized for dynamic handling and more accurate steering feeling. Dual MacPherson struts in the front improve maneuverability by reducing the offset between the wheel center and the tie rods and increasing the caster angle. For securing body rigidity while cornering, a front tower strut bar is optional. 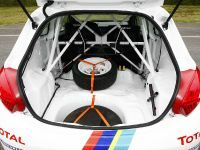 The rear rides on a five-link setup with reduced toe variation during acceleration, braking and cornering thus yielding precise maneuverability. Mono tube-type shock absorbers have separate gas and oil chambers to enable stable damping force resulting in better ride and road holding performance. The use of crash durable adhesives in critical areas has increased dynamic torsional rigidity by 15 percent enabling better ride and handling, increased safety performance and reduced NVH. The Coupe is one of the quietest cars in its class thanks to special reinforcements and applications of various poly-urethane foam as well as sound interceptive materials that have helped eliminate both noise and vibration. The use of high strength steel enhances safety and overall performance by achieving a stiffer, lighter body structure. When combined with the six-airbag system, active headrests, Genesis Coupe is expected to earn a five-star crash safety rating. The Genesis Coupe promises to stop just as fast as it goes. Premium high performance disc brakes from Brembo will be available as part of an optional track–use performance package. For the Genesis Coupe?s front 18–inch wheels, Brembo engineers developed 13.4–inch x 1.1–inch rotors (340mm x 28mm) and four–pot fixed calipers (42mm+42mm) while the rear setup features 13.0–inch x 0.78–inch rotors (330mm x 20mm) gripped by four–pot fixed calipers (32mm+28mm). At the highest level of international motorsports, Brembo?s signature fixed monobloc brake callipers and oversized rotors are recognized as delivering the ultimate in braking performance. 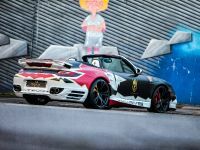 The Italian brake manufacturer is acknowledged as the world leader in high performance braking systems and is a supplier to the world?s best–known formula racing teams as well as Italian and German manufacturers of supercars and sports cars. Available safety equipment also includes Electronic Stability Program which uses the speed sensors on each wheel and the ability to brake individual wheels that are the basis of antilock brakes. ESP adds a control unit that monitors steering wheel angle and vehicle rotation around the vehicle's vertical axis. This unit uses the steering and rotation information to detect that the vehicle is about to travel in a direction different from the one indicated by the steering wheel position. 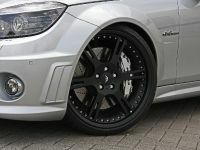 Then ESP automatically brakes the appropriate wheel to help the driver maintain control. 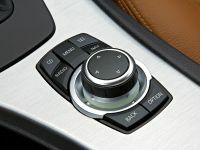 Touches of convenience include USB/iPod connectors, auxilliary audio inputs, 5.6-inch information display unit (for audio controls, digital clock, climate control, inside/outside temperature) and steering wheel-mounted remote controls for the audio system. An eight-speaker Infinity sound system is optional. 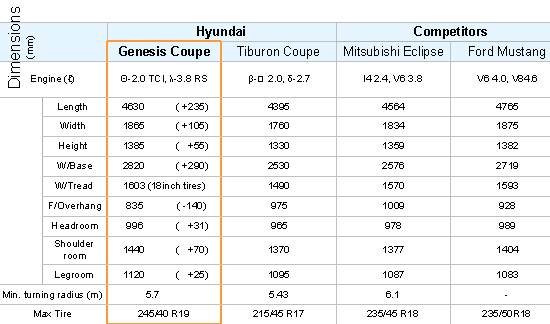 Hyundai hopes to sell 40,000 Genesis Coupes annually, 5,000 in Korea and 35,000 in overseas markets. The Genesis Coupe's target customer is a middle-aged male (64 percent) looking for superior performance in terms of acceleration and handling. The competitive set includes the Mitsubishi Eclipse, Nissan Altima Coupe and Mustang. Korean retail prices start at 23,200,000 Korean won for the base version and with full options, including the V-6 Lamda RS engine, the Coupe tops out at 33,920,000 Korean won.